I usually wear gold or silver for new year just like everyone else. This year, however, I stayed away from the cliche and wore rose gold instead! 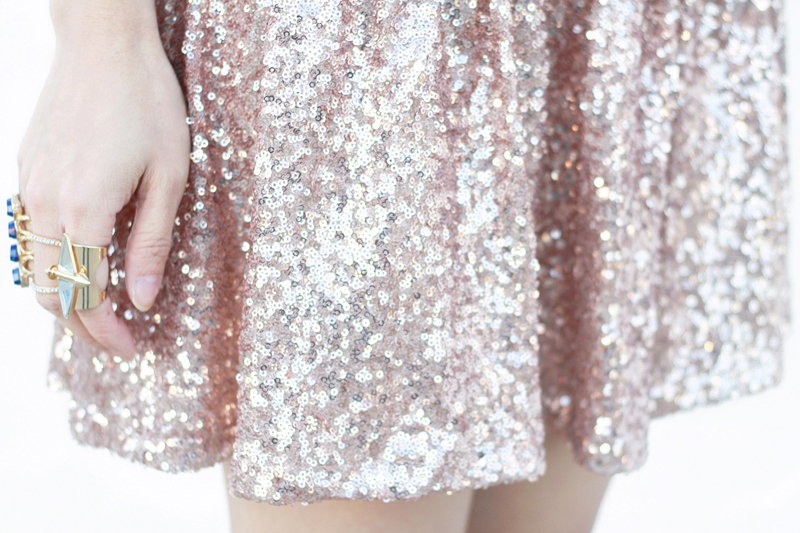 I love this rose gold sequined dropwaist dress, it is feminine, super sparkly, and reminds me of the Great Gatsby era. I gave it a modern twist with a mixed print blazer. I thought the blue and rose gold also made a nice contrast as well. Lastly, I added a touch of red with a vintage leather clutch and bold lips! Mixed print blazer c/o Romwe. 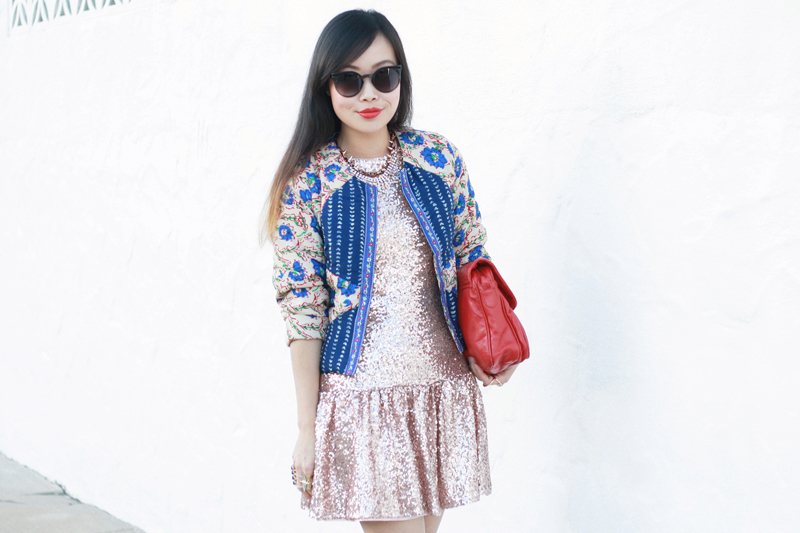 Rose gold sequined dropwaist dress from GoJane. Rose gold pointy wedges from GoJane. Thrifted vintage red leather clutch. Rose gold spikes and crystals necklace c/o Joomi Lim. 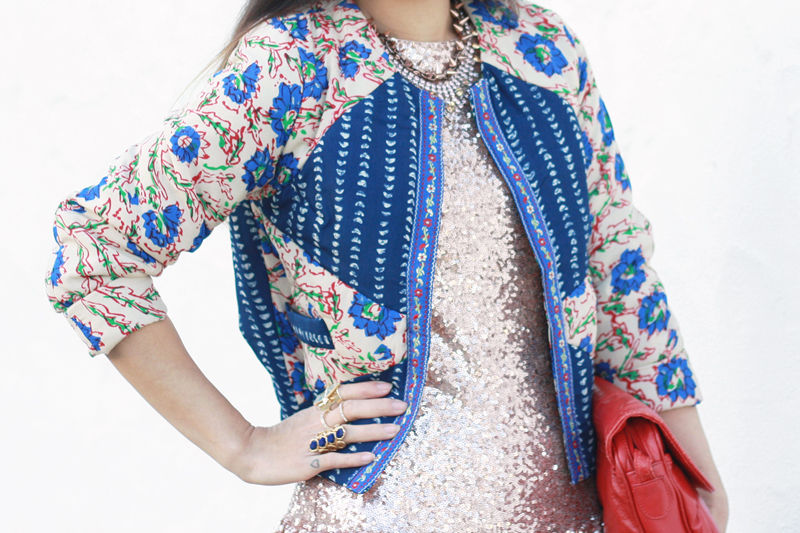 Perfect nye look that jacket is awesome and compliments the dress so well. Everything in this outfit is gorgeous! That jacket is a dream! A perfect yet unexpected combo with the dress. 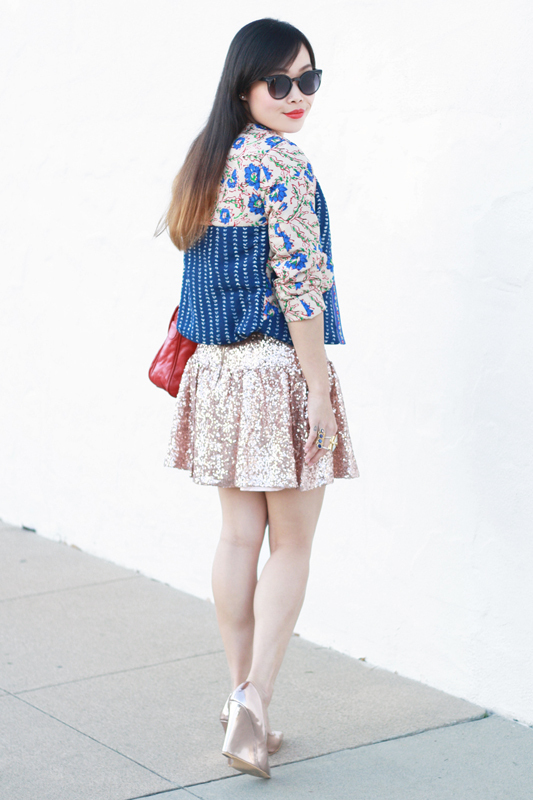 Rose gold is my favorite - and those shoes are to die for! I love rose gold! You pull this outfit off beautifully! your shoes are literally so AMAZING! I can hardly believe they exist!!! XO! This dress actually made me grin. 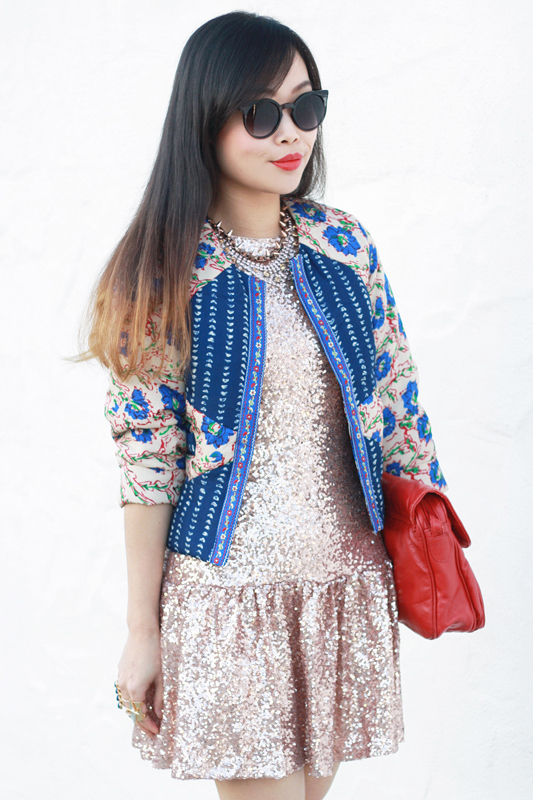 There's no such thing as too many sequins!!! All of these pieces are amazing- love!